Strapping on the tank for the first time, you feel anything but graceful. The flippers, the weight belt and mask add to your unease as you try and stay upright in the chest deep water. Dropping to your knees beneath the surface, the respirator feels awkward, even the oxygen it provides is cold and dry, surely not the same stuff as you were just breathing in the warm Indian Ocean morning three feet above? But as you go through safety drills with your instructor, you quickly start to feel at home – a guest at Rasdhoo Dive Lodge, whose expert instructors are ready to show you around their neighbourhood. Joining the booming guest house scene on the island, the Dive Lodge has recently opened to compliment the Rasdhoo Dive Center, which itself has become one of the major dive training specialists in the Maldives, tutoring an average one new diver every day during peak season on the stunning reefs. 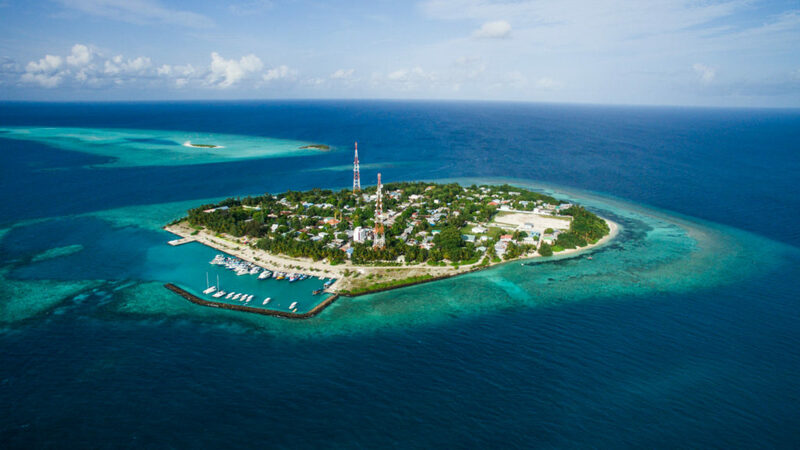 The island can be reached via regular speed launch from Male in one and a half hours, while those with more time on their hands can take the leisurely public ferry which paddles west from the capital three times a week. With capacity to accommodate four families in the lodge’s spacious rooms, the dive centre can offer PADI certified training to as many as 25 people at any one time; with five trips a day to 19 dive sites around the atoll, school was never this much fun. One of the smallest of the Maldivian archipelago’s 26 natural atolls, Rasdhoo Atoll is unusual in that it is largely complete, with only three channels interrupting the isolation of the inner lagoon. The result of this geographic quirk is that the two channels on either side of Rasdhoo island are teeming with marine life, while the size of the atoll means that a large range of sites on the outer reef lie within a short dhoni ride. 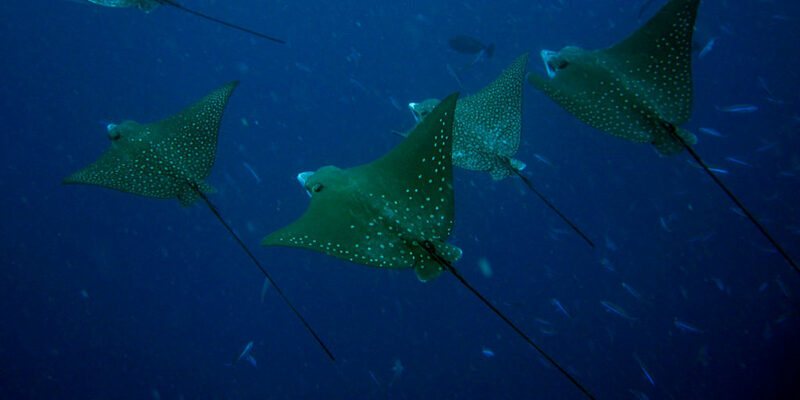 Madivaru corner – named after the small island at the corner of the channel – is one of the most popular dive spots, with barracudas, reef sharks, turtles and eagle rays all regularly visiting to run the rule over the newest students from Rasdhoo. Hammerheads can be spotted during the right conditions a little further outside the atoll, while a manta ray cleaning station is located at nearby the Madi Gaa site. Inside the atoll, the wrecks of the Reef Explorer and Kuramathi Queen promise incredible night dives, as huge Napoleon wrasse sleep on the sunken decks while their smaller cousins huddle in the hold. Back on the discovery dive, you’re getting used to your new surrounds as your guides assist in the gradual descent from summit Rasdhoo down the underwater mountain slopes. Butterfly fish wink welcomingly, though lurking moray eels seem less keen to be friends. Even the seasoned snorkeller takes time to adjust. The familiar up and down reality of the free diver recedes as the glassy ceiling floats away from you. You’re a more permanent part of your surroundings now, responsible for more dimensions of movement than you ever were on land or at sea. Returning to the surface would be more disappointing if it weren’t for the natural beauty of atoll’s drier areas, to which the lodge can arrange visits. Picnics on Madivaru or sunset cruises in the endless blue will make you forget (temporarily) that you wish you were still soaring above the reef. Package trips are available, which include dive training coupled with excursions around the surrounding atolls on the centre’s yacht, or night fishing on its dhoni – ‘Bluebird’ – after which their chefs will prepare the grouper, red snapper or squirrelfish that you bring home. These can be enjoyed in the lodge’s adjoining Icoco restaurant, where divers old and new can gather to reminisce about their adventures and to plan for the next day’s immersion. Whether you’re a tourist or traveling on business, Rasdhoo Island Inn is a great choice for accommodation when visiting Maldives Islands. Only 70 minutes away, this 2.5-star hotel can be easily accessed from the airport. 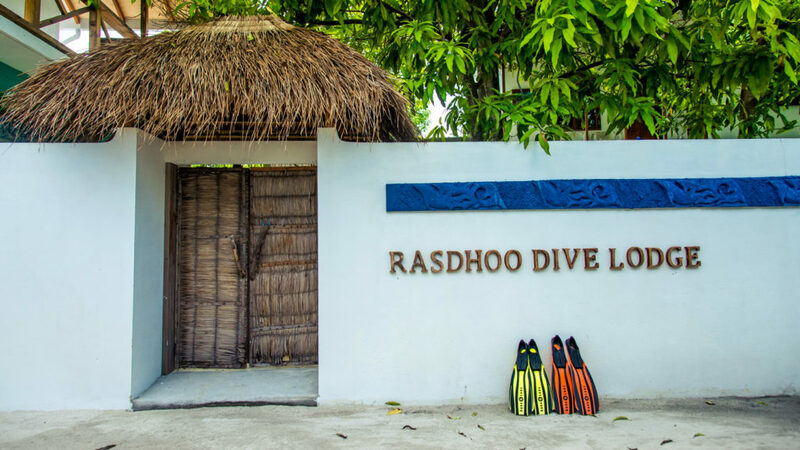 Also within easy reach are Rasdhoo Dive Site, Hammerhead Dive Site.Rasdhoo Island Inn offers impeccable service and all the essential amenities to invigorate travelers. While lodging at this wonderful property, guests can enjoy coffee shop, family room, luggage storage, laundry service, shops.All guest accommodations feature thoughtful amenities to ensure an unparalleled sense of comfort. The hotel offers wonderful recreational facilities such as water sports (motorized), billiards, private beach, children’s playground, garden to make your stay truly unforgettable. Discover an engaging blend of professional service and a wide array of features at Rasdhoo Island Inn.